sometimes i struggle feeling strong emotion or energy for life. i get scared to open myself up to people, take great leaps, or enjoy the moment. music is what helps me the most with this, and none more than yours. Thank you for the inspiration, the energy, and the passion. You are missed and yet you live on. His music fulfills my heart with energy, joy and happiness. I took a drawing course this weekend and spent all day drawing his portrait. I was so happy I could do it. In the loving memory of Tim. I enjoyed your songs, your productions and your hardwork for everything you did for the EDM industry. I never loved any DJ as deep as how I enjoy your music. The first song I heard was LEVELS, you changed my perception of where I used to think EDM is just combinations of noise of beats and lousy musics because I think music should be a creation for us humans to relax after hearing it. Thank you for your presence, you changed this generation and your songs will be remembered for centuries. One of the greatest Dj of our Time, Rest in Peace, we will keep those we loved in our heart, and keep living for those we love! See you Later Tim! I remember when I first heard his music but didn't know what the song was called. Around a year after I got Horizon and heard his first record breaking hit: Levels. Immediately fell in love. Then I got my hands on horizon 3 and heard Wake Me Up. Had me listening until today and is a masterpiece. After that were other songs like Hey brother and etc. Earlier this year a friend told me about what happened and didn't believe it at first. It broke my heart that we couldnt hear more of his songs. Avicii, your music was inspiring. So much love from all of us. Tim, yesterday I fuond the lyrics of an unreleased song that made me cry. I'm still crying for you and your precious life, and cursing those who killed you and destroyed your life for money. Why no one could raise you above the grabbing hands of cowards and of thieves, as you wrote? Every day I find something new about you, I'm happy, but I weep because this is all past, no future; drive the memory lane to remember the pain of a future that never begun, as you wrote. Why no one understood? Dear Avicii, I thank you endlessly for your kindness, all the pleasure and beautiful moments you brought to us through your great music. We miss you and will always love you. Dear Avicii your music will be always with Us and you will be always the one of the best Showman and no one can be like you. You are forever in my heart and soul. I will never forget your music and tracks! ◢ ◤ You are one of a kind irreplaceable !!! I love your song !! Thank you !! I loved Avicii so much. His music inspired me a lot and so did he. He was one of the best DJ's I had/have ever experienced. When "Wake Me Up" can out I didn't actually know who the song was by. I just knew I liked it A LOT. I finally found out who the song was by after going to a hockey game with my brother-in-law and they did a tribute video to Avicii. I started crying when I found out that one of the songs I couldn't get out of my mind was written by someone like him. I will miss Avicii a lot. Music is touching and his was especially. Through difficult times or easy times his music always related and brought love to my heart. I never knew him personally and probably never would have but he will always be forever in my heart. People dancing on your music in Togo (West africa) right now. Be in peace. Heartbreaking to hear of his death at such a young age. Amazingly talented man and hope he's in a happier place now. I really never thought in how many ways the music from Avicii will change my perspective of music. I started to listen to Avicii's music back in 2013 and then I wanted more and more of his talent to inspire mine. His music is not only to just dance or have fun moments while you are listening to, but also to put your headphones on and try to understand how his mind created and structured all the sounds, how his mind worked his music really took my creativity in too many ways. Your music always inspires me in life, it helps people living better especially in difficult moments.... Thanks Tim for what you left us. You’ll be eternal in our souls. I remember, back in primary school when I first heard of Avicii, his music was something different and amazing, I listened to levels all the time and as the years went by I kept listening to his music, adding it to my playlists and shared it with friends. Whenever I was out on my weekend job delivering newspapers in my town, I would always listen to it. It never grew old. And till this day I still do and always will. I grew up with your music Avicii. Thank you for everything. My boyfriend's a huge fan of Avicii. He told me that, as a child, he listened to his songs on the radio everyday on his way home after school. I was quite moved about all that memories and feelings around Avicii. Rest In Peace, wherever you are now. I think avicii for me is one of the best djs/producers in the world because of his creative way to make melodies and how he express herself to connect people around the world with the most talented ideas he made in the studio. Definitely he is an inspiration for people who want to start as a dj/producer and that’s the most important thing of the artist, so I’m from Chile 🇨🇱 and I want to make people happy and I decide to make music in my computer and share it on websites to make people happy. Whenever I feel like I am not accomplishing anything in my life, or that I need to be better; Tim gives me the confidence to continue and the desire to be that better version of myself. The power of music is something I can't live without, and Tim helped engrain that power within me over the last several years. I have a huge desire to create my own sound now, and with Avicii track's blasting all the time, I know his spirit lives on. Rest easy. I am far from perfect, but I promise to be better. Got into EDM because of him. Levels was the first song that got me hooked. Then I was pretty much loving most of his tracks and remixes... because of Avicii I got into the hobby of music production. Stopped for awhile but thought of getting back in. Not sure if I would try again now. But I'll be damn if I don't at least try honor his memory. I got to try make music again. Thank you for everything ! 🖤 You will be missed and loved forever ♾ Rest in Peace Angel 🤲 Deine Musik hat mich zu einem anderen Menschen gemacht, sie hat mir so viel Kraft gegeben wenn ich sie gebraucht hab! Danke für alles . Wir werden dich nie vergessen !! Your music is amazing. We will always remember you. I really miss you Tim, I hope that you've found peace now. Only If I can request something here and someone really close to Tim is actually reading this then i would like to request some of the Tim's Liveset that should be on YouTube so we all can watch it , Going to his show was one of my dream by that time i was not earning anything and couldn't do anything about fulfilling it and now when i am capable enough to do so We dont have Tim with Us In Memories of Tim , i would love to watch all those time when he was dwelled in Music. Still thanking you for inspiration and good memories. World always will be remember you! 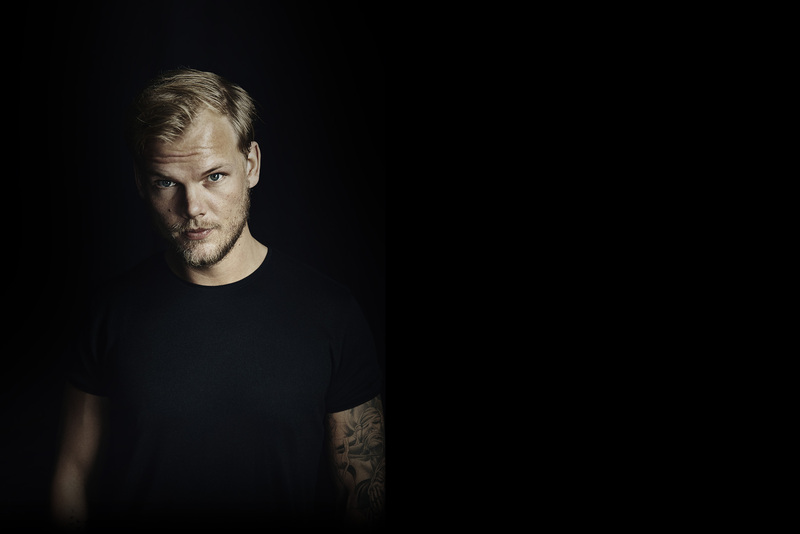 I listen to his music ever since i was little and at my school people were like avicii died i was confused cuase this was like when i kinda forgot about him then i got home and looked him up and i realised who he was and i balled my eyes out! Dear Tim. It’s been half a year since the news came out that you’re gone. In the mean time alot happend, it seems like the year of death and abandonment, losing people you can count on. Is it weird to miss someone you never knew? I don’t know it’s the person it depends on. I wanna believe you are having peace in heaven, with the other artists that died after you. I hope you have peace now, until we meet again. Avicii was a nice person. He was a loving one. I wish he was still here. I wanted to go to one of his concerts later in life but then this happened. I’ll always remember avicii. He was a caring and the nicest person you can see. He was hiding things from his fans. He had a tuff background. But in reality we were all her for him. Rest In Peace avicii! !